C3yoyodesign has a pretty solid eye for up-and-coming talent (yes they do), and if they're showcasing, I'm watching. Enjoy this video from C3 Rising Force team member Leo Chan! Yoyo used is the C3yoyodesign Radius. C3yoyodesign has a pretty solid eye for up-and-coming talent (yes they do), and if they’re showcasing, I’m watching. Enjoy this video from C3 Rising Force team member Leo Chan! YoYoNews has full results and scoring breakdowns for the 1A Division of the 2017 World YoYo Contest. Congratulations to 2017 World YoYo Champion Shion Araya! 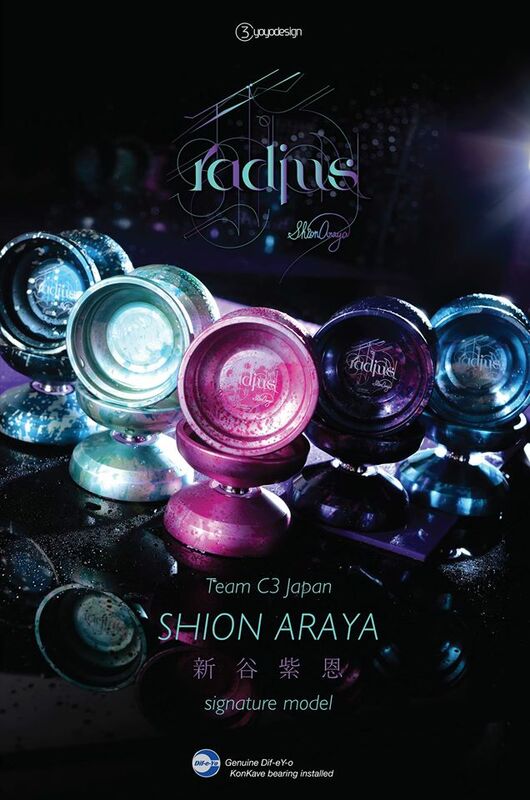 When Shion Araya wanted a new signature model, C3yoyodesign got to work. They talked to him about what he wanted and then created three different designs that all accomplished those goals in different ways. Through their Facebook page we got to see them walking through the prototyping process with these different iterations, and working through the process of Shion testing and deciding what worked best for him. Now we have the final product, releasing this weekend at the Hamamatsu YoYo Contest in Japan, and worldwide on May 2nd. I’m forever amazed that C3yoyodesign isn’t a much larger company. I’m genuinely surprised when I walk around at a contest and I don’t see half the players throwing C3 yoyos. They are great people, who love what they do, and they make a wide range of genuinely fantastic products. They are deeply and intimately involved in every single step of the production process, and they are all passionate yoyo players who truly, madly love what they do. 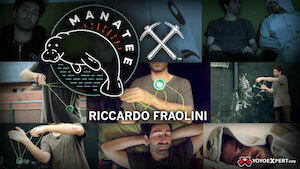 This video is a great look at what it means to love what you do. C3yoyodesign had a great presence at the 2015 Japan National YoYo Contest, and it was a killer warm-up for Worlds. Featuring Ryuichi Nakamura, Shinya Kido, Shion Araya, and Rei Iwakura. Yoyos used are the C3yoyodesign BerserkerSS, KROWN, Accelerator, and Flawless. The new Berserker SS from C3YoYoDesign is making a lot of noise among bi-metal yoyo fans, and this new promo video puts it in the hands of C3 team members Shion Araya and Shinya Kido, both of whom have signature editions of this new yoyo. Former World Champion Shinya is one of the most consistently clean yoyo players in the world, and Shion is very much a rising talent with a 6th Place finish at the 2014 Japan National YoYo Contest. Great yoyo tricks from some fantastic players! Yoyo used is the Berserker SS by C3YoYoDesign. Team C3 Japan member Shion Araya has a new promo video out, and it’s amazeballs. The amount of control exhibited by such a young player is both inspiring and exhilarating…this really does feel like the most amazing time to be a yoyo player in the past 25 years, doesn’t it? Yoyo used is the Krown by C3YoYoDesign. C3YoYoDesign dropped another promo video for their solid budget metal yoyo, the Level 6. The Level 6 has quickly proven to be one of the best of the budget metal releases from the last year, and this video shows it off nicely! Featuring top notch play fromJapanese team members Ryuichi Nakamura, Shion Araya, Shinya Kido, and Shotaro Masuda. Yoyo used is the Level 6 by C3YoYoDesign. Japanese C3YoYoDesign team member Shion Araya braves the cold to throw the Level.6, the newest mid-range yoyo from C3YoYoDesign. Shion is a great player, and this video was filmed and edited by his mom…which we find adorable.